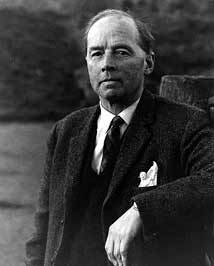 George Campbell Hay (Deòrsa Mac Iain Deòrsa) was born in Elderslie, Renfrewshire, where his father John Macdougall Hay, author of 'Gillespie', a brooding novel of Tarbert life, was the minister. He died when George was only four and the family returned to Argyll, where young George developed an intense admiration for the Loch Fyne ring-net fishermen. The boy's observation of their way of life and working practices would later find expression in thrilling, sensual poems of the sea; his love of the hills of Kintyre, his experience of war in the Middle East, chance conversations with strangers, his sense of Scotland's destiny – his poetry was the kaleidoscope of his thought and feeling. After graduating from Oxford, George Campbell Hay lived in Edinburgh for many years. His 'Collected Poems and Songs' (2000), edited by Michel Byrne, gathers together for the first time his work in Gaelic, Scots, English, French, Italian and Norwegian. A gifted linguist, he translated poems from many European languages into Gaelic, but his own poems in Gaelic and Scots represent his most significant achievement. George Campbell Hay, Edinburgh, mid-1970s.